"I like to spend the time with patients to create individualized treatment plans that will best help them attain their goals of building a family." Dr. Kate Dragisic Schoyer specializes in reproductive endocrinology, infertility and gynecology. She is board certified in Obstetrics and Gynecology as well as Reproductive Endocrinology and Infertility. 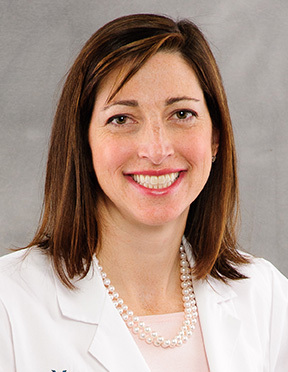 She is the Director of the Division of Reproductive Endocrinology and Infertility at the Medical College of Wisconsin and is the Medical Director of the Reproductive Medicine Center. Everyone was really attentive to my response to it. Wonderful STAFF!!! Dr. Schoyer provided excellent care during this visit and all of my other visits. She is knowledgeable and highly competent. Her bedside manner is pleasant, and she takes the extra steps to show that she cares. The staff at the Reproductive Medicine Center are similarly outstanding. I had particularly pleasant experiences with Tara at the front desk & Bridget the nurse.